President observes Ghodejatra celebrations in Tundikhel - Integration Through Media ....! 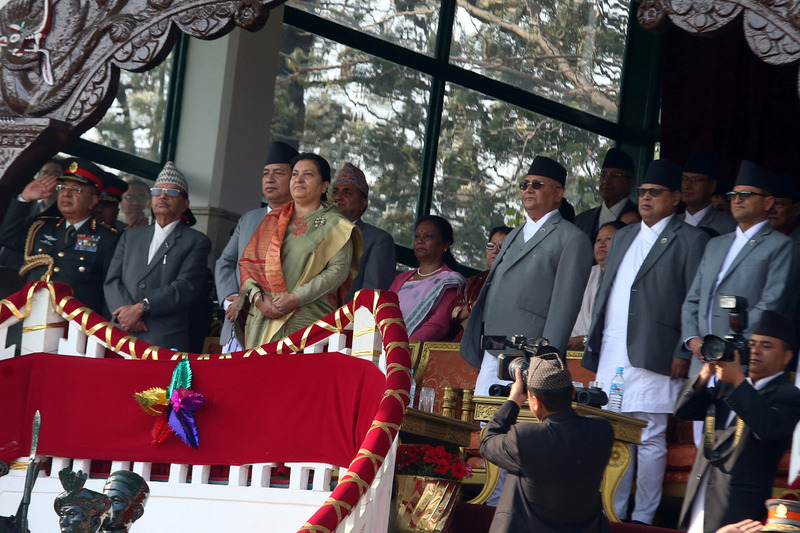 KATHMANDU: President Bidya Devi Bhandari reached the local Tundikhel Saturday to observe the Ghodejatra celebrations held at the Nepal Army Pavilion by the Nepal Army. 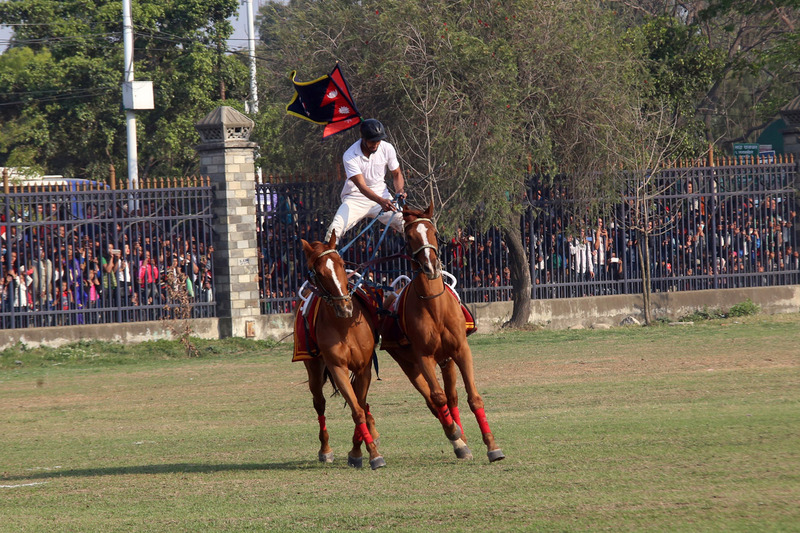 Prime Minister KP Sharma Oli and other sitting ministers were at Tundikhel on the occasion where the NA personnel performed various equestrian skills, cycle race, physical training and combat skills. The President who is the Supreme Commander of the Nepal Army gave away awards to winners of various competitions held to mark the Ghodejatra Festival. Ghodejatra, the horse festival is a traditional festival that is celebrated by the Newar Community of Kathmandu Valley. The festival falls on the no-moon day of the Nepali month of Chaita. The myth associated with this typical festival is that a demon called ‘Gurumapa’ used to reside on a tree to the south-east of the Tundikhel. The demon used to make the city children his prey. The city people finally became able to kill the demon following various measures, though the fear of the demon’s ill spirit causing harm to children still haunted them. The Valley’s Newar people celebrate the festival for several days with feasting. During the festival celebrations in the Tundikhel, it is believed the fast running of horses and the force of the horses’ hooves will subdue the bad spirit of demon Gurumapa, keeping such ill spirit at bay. The demon is offered a symbolic feast at the bottom of the same tree the night of Ghodejatra festival. Likewise, in Lalitur, the festival is observed by making a one-eyed horse to run. The government gives a public holiday in the Kathmandu Valley on the occasion of the Ghodejatra.